Caris Brook Accountants are pleased to announce that we are now better placed than ever to work with clients in the Colchester area. We’ve always been geographically well positioned from our offices in nearby Halstead, but now we’ve renewed our focus on businesses within Colchester and surrounding areas. Caris Brook maintains a regular presence in the Colchester, offering a full service Accountancy, as well as Chartered Secretarial and Tax services. Committed to offering a common sense approach to accountancy, Caris Brook now brings over 21 years of trading and a wealth of accountancy services to the city of Colchester. Our pleasant and ideally situated offices in Halstead offer convenient parking, and with excellent road access we look forward to welcoming clients from Colchester itself, Lexden, StanwayWest Bergholt, Ardleigh, as well as Colchester’s other outlying towns and villages. Caris Brook prides itself on it’s diligence, professionalism and transparent pricing, and applies the same exacting standards whoever the client. 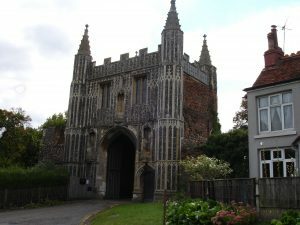 Nowhere is this more relevant than in a city like Colchester, with it’s diverse and burgeoning cross section of businesses that demand excellence, a broad range of services and an accountancy practice that is both well established and up to date on the latest taxation and company law. We offer a mixture of traditional accountancy services such as preparation of accounts, payroll services, book keeping and VAT with more specialised support such as registered office facilities, Contractor & IR35 and inheritance planning. For Colchester businesses looking to maximise their performance, Caris Brook are the clear choice. Moreover, we’re proud of our friendly approach, engaging with our clients, helping them better understand their business through in depth reports, analysis and solid advice. Caris Brook is also committed to offering great value, with a clear and fair pricing structure. So we’ll always present the cost of our services in a clear and concise manner. So if you’re looking for an Accountant, Chartered Secretary or Tax Adviser for your business or organisation and you’re based in Colchester, Lexden, Stanway West Bergholt, Ardleigh then call us today. Caris Brook can offer a wide range of accountancy services that are professional, fairly priced and local to you.